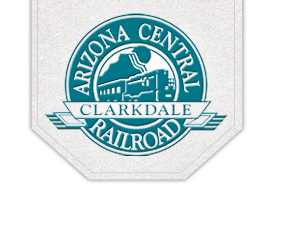 The Clarkdale Arizona Central Railroad, built circa 1912, was purchased from the Santa Fe Railway Company in April 1989. The line, comprised mainly of 90 lb. rail, is laid from Clarkdale to Drake, Arizona. The base of operations is at Clarkdale. Two GP-7 locomotives are utilized to haul loaded coal cars inbound and loaded cement cars outbound. The balance of crew time is used to perform routine track and locomotive maintenance. Please fill out the quote request form to learn more about shipping by rail and becoming a CACRR customer.